BURLINGTON, VT --- The Vermont Lake Monsters are pleased to announce two new additions to the team's front office staff with Hannah Carlin as the new Box Office & Team Operations Manager along with Philip Nerber as the new Ticket Sales & Operations Manager. Both Carlin and Nerber have spent the past two summers working for the Lake Monsters, including as ticket office managers during the 2018 season. Originally from Milton, Vermont, Carlin joins the front office after starting with the Lake Monsters as a gameday employee during the 2017 season before being named one of the ticket managers this past year. Hannah graduated from Endicott College this spring with a degree in Sport Management. 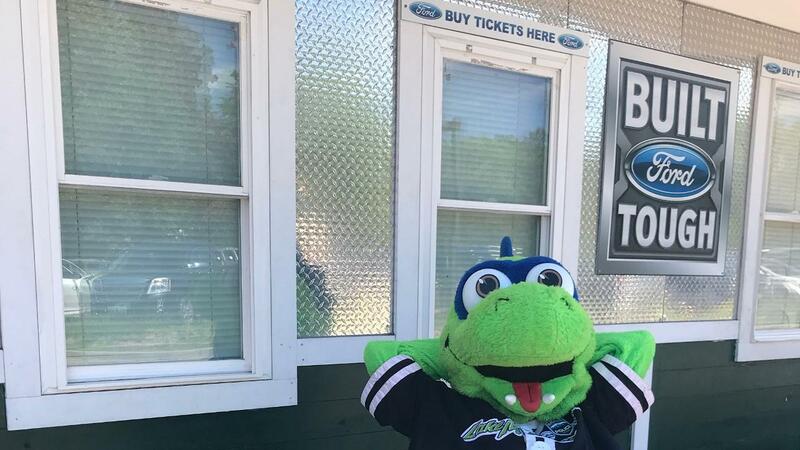 Nerber, a native of South Burlington, joins the Lake Monsters in a full-time capacity after spending two summers working out of the team's Box Office and selling season ticket and mini-plan packages both summers. Philip graduated from Xavier University this past spring. "We are looking forward to having Hannah and Philip join us in a full-time capacity", says Lake Monsters General Manager Joe Doud. "It means a lot to us to be able to hire locally. Both Philip and Hannah have been great for us in the past, but both stepped up in a big way this season. It is great to be able to reward their hardwork with full-time positions." Carlin will oversee the day-to-day operations of the Box Office, along with handling many of the team's interactions with the players and the Oakland A's. Nerber will oversee a majority of the Lake Monsters ticket programs.